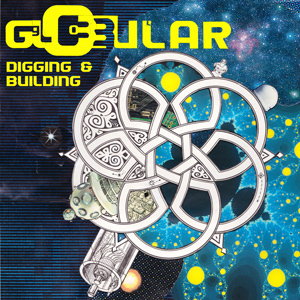 Born from a need to go deeper into downtempo auditory imagination-space, Globular offers up Digging & Building; two epic tracks melded into one tripped-out journey of discovery and creation. As ever though, Globular encourages you to tell your own story with his releases, and dance the dance that speaks to you. Written and produced by Morison Bennett. Artwork by Object. Mastered by Colin Bennun at the Stooodio. MP3 Download | FLAC Download | WAV Download · Download count: 11,638.
and it still doesn´t sound different. This is a great direction to go down. Sooooooo delicious! Love these vibes…. great release!!!! Loved it a lot, possibly even more fitting for my taste than majority of Magnitudes Of Order tracks. Always enjoy Globular – this one is a beauty and looking forward to repeat listens to see how much better the tracks will become. Globular always puts out amazing music and this is no exception. directly to my chill folder! Please offer sleeves as separate download. No need to include 15MB of that alongside the music. Many users have caps on their download limit. This EP is best that I heard of Globular! Now curious to hear more new tracks… Thanx for the music!!! Globular delivers again. Great work as always. Truly amazing music, infinity inside is so unique, such a happy uplifting track! Globular is up there with shpongle at making mind blowing music. Cant wait for the next release. Globular é sempre assim, surpreendente e empolgante ! ricos detalhes !